Wisconsin Humane Society's annual 5K run/walk & 1-mile walk at Veterans Park on Milwaukee's lakefront! Why is "Tails on the Trail" now Pet Walk? WHS acquired two new shelters (Green Bay and Door County) in 2018, and we’ve been working to ensure brand consistency across all our locations. Green Bay has hosted a similar event to Tails on the Trail called “Pet Walk” for the last 20 years, so after considering the ease of a short name for marketing purposes and the long-standing recognition in that community, we decided it would be best to change “Tails on the Trail” to “Pet Walk” than it would be the other way around! The event will continue to be the fun – and hugely impactful – event that we all love! 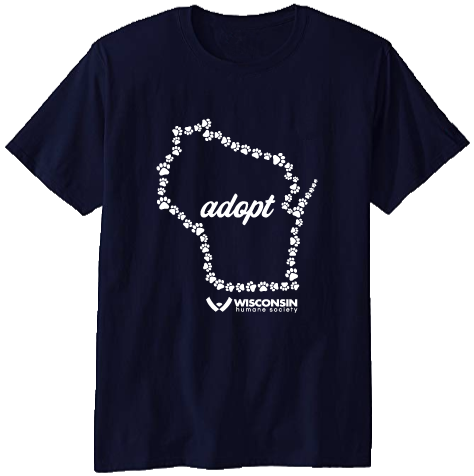 Don't forget to order your new Special Edition 2019 Pet Walk MKE T-shirt during registration for just $25! These shirts are separate from the white event shirt that is included with each paid Pet Walk registration fee.